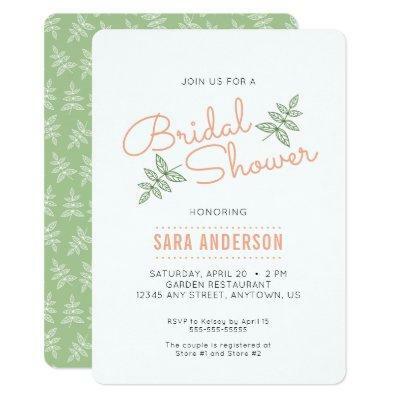 This bridal shower invitation features an illustration of sage green leaves on a white background. The design is accented with some coral colored text. This invitation design is perfect for the bride who is having an outdoor wedding full of natural beauty.